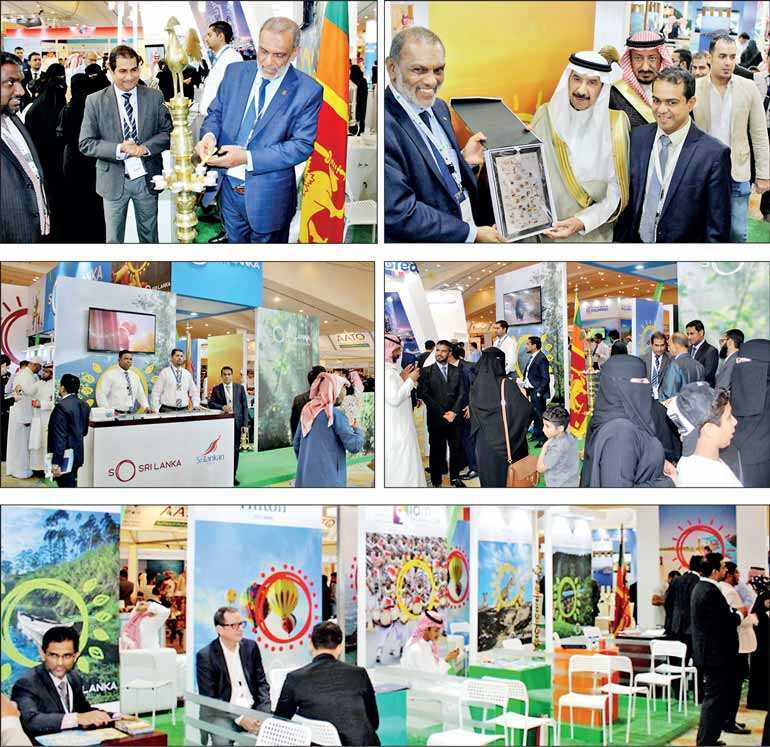 The Embassy of Sri Lanka participated in the Riyadh Travel Fair (RTF) 2019 which was held from 28-30 March at Al Faisaliah Tower Hotel in Riyadh, together with the Sri Lanka tourism industry professionals and the Sri Lanka Tourism Promotion Bureau officials. Riyadh Travel Fair is considered a significant annual event in Saudi Arabia where the leading travel and tourism professionals in Saudi Arabia as well as from other countries gather to exhibit and introduce their tourist products, services and investments to the public. Ambassador of Sri Lanka in the Kingdom of Saudi Arabia Azmi Thassim opened the Sri Lanka pavilion. The fair was inaugurated by Riyadh Chamber Vice Chairman of the Board of Directors Hamad Ali Alshowair. Eight reputed Sri Lankan companies in the tourism industry, including SriLankan Airlines, exhibited their products and services in the Sri Lanka pavilion at this travel fair. An opportunity to taste Sri Lankan tea was also provided to those who visited the Sri Lanka pavilion. Over 300 exhibitors representing more than 55 countries participated in this event, with a recorded 20,000 visitors attending this event during these three days. Saudi Arabia remains a strong market for the Sri Lankan tourism industry in the Middle East region with approximately 40,000 annual visitors.